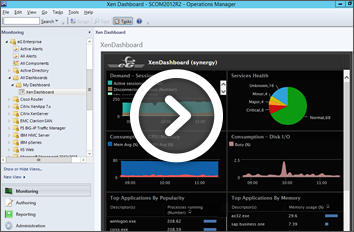 Microsoft System Center Operations Manager (SCOM) is a leading monitoring platform for Microsoft applications. 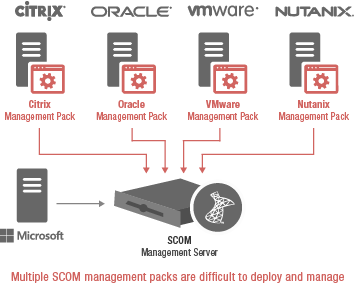 However, SCOM is limited in its support for non-Microsoft systems and applications (e.g., Citrix, SAP, Siebel, VMware, Oracle, Sybase, DB2, Java, Nutanix, etc.). 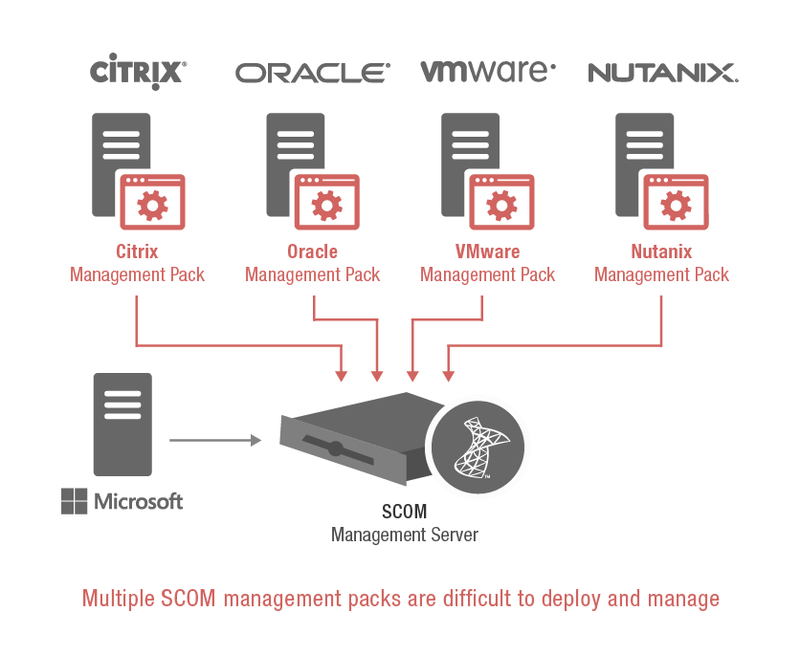 To extend System Center Operations Manager for heterogeneous environments, multiple SCOM management packs (often from different vendors) must be deployed—one for each non-Microsoft platform. With this "multi-pack" approach, administrators get a lot of metrics but little actionable information and no correlated alerts to help them pinpoint the real root cause of a performance issue. The lack of integration between management packs leads to long problem isolation and diagnosis cycles, resulting in poor user experience and loss in user productivity. 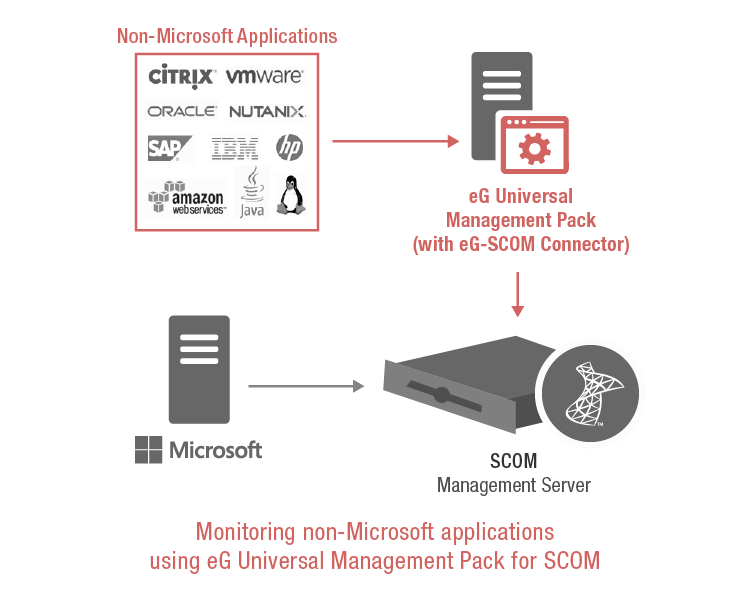 The eG Universal Management Pack for SCOM augments Microsoft SCOM’s monitoring capabilities and enables it to become a truly unified monitoring and diagnosis console for today’s heterogeneous IT infrastructures. 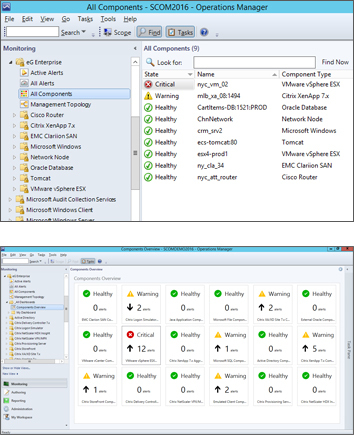 Combining the power of many management packs into one unified solution, SCOM administrators get access to health, availability and performance data from heterogeneous infrastructures and multi-vendor devices inside the SCOM console. 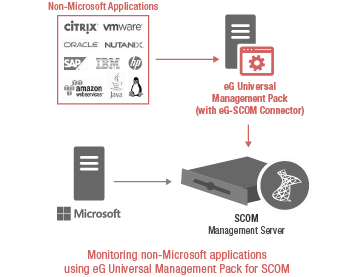 Make SCOM your go-to solution for monitoring both Microsoft and non-Microsoft applications with the help of eG Universal Management Pack. Access unified topology diagram of heterogeneous IT infrastructures (Citrix, VMware, SAP, Amazon AWS, etc.). 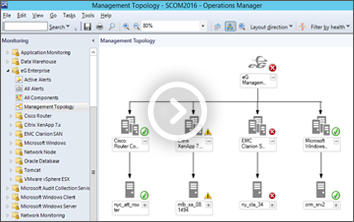 No other SCOM management pack provides this unified view. 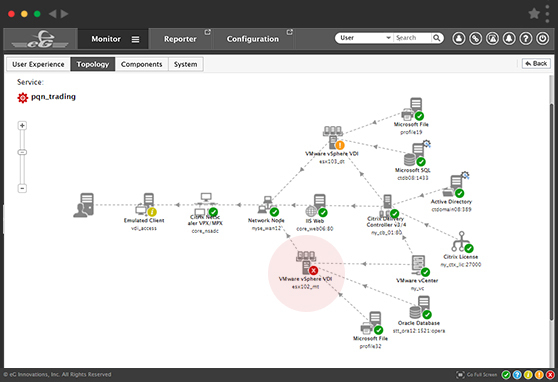 The eG Universal Management Pack is very easy to deploy. 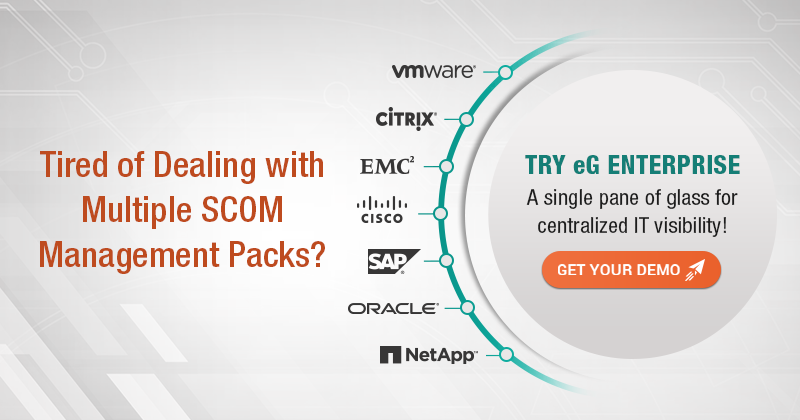 The eG-SCOM Connector bridges communication between eG Enterprise and SCOM.